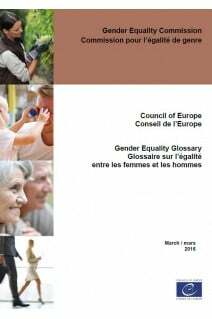 During its fifth meeting, which took place in Strasbourg on 2-5 April 2014, the Gender Equality Commission (GEC) discussed the preparation of a Gender Equality Glossary based on the definitions and terms of Council of Europe instruments and standards. During the sixth meeting of the GEC (19-21 November 2014), the Secretariat presented a Concept Note (GEC (2014)7) including an overview of existing glossaries. 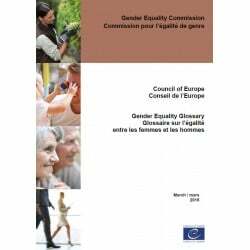 In the discussion that followed, GEC members instructed the Secretariat to prepare a more detailed document including relevant definitions from Council of Europe instruments and standards, providing sources and explanations for discussion at the GEC meeting in November 2015. This document, prepared by the Secretariat, is the result of these discussions.